About 4 months ago my husband, our 2 year old daughter and I moved from an apartment right near the beach to a house in the suburbs with a garden! It was the best decision we ever made! 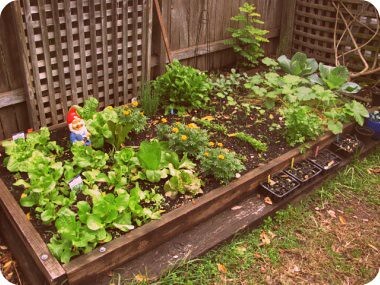 We now spend our weekends pottering around the garden and have started a little veggie patch that is doing so well.. I don't miss the beach at all (although it is the middle of winter and I may be singing a very different tune in summer!) I do miss rainy days spent in my favourite bookstore cafe drinking their famous chai tea.. but it is only 30 minutes drive away..